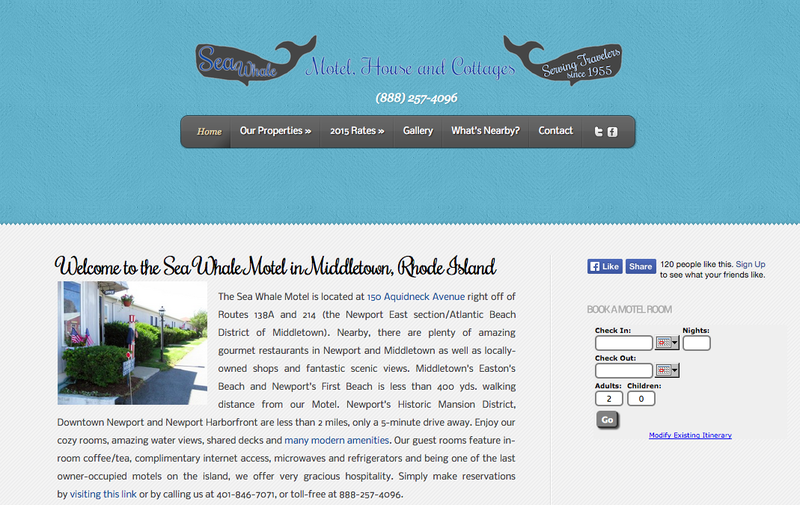 To create a responsive booking site for the Sea Whale Motel, House and Cottages where people could go and find simple information and beautiful images about the owner-occupied motel and properties as well as easily book their next stay. We used a slightly modified Feather theme from Elegant Themes in addition to a few plugins to make this site user friendly on desktops and mobile. Contact Form 7, NextGEN Gallery, Use Any Font (Rochester) and Yoast SEO really played a big part in making the the Sea Whale’s site found on the web as well as a way to easily book new guests.